The growth of distributed renewable energy has been quite aggressive over the recent years, as solar and wind energy get cheaper than even coal power in most parts of the world. Not only is renewable energy cheaper, but also environment-friendly. With rising global warming, nations have pledged to increase their renewable energy commitments and are shifting attention to greener options. The success of solar projects itself can be gauged from the fact that globally, more than 90 GW of solar power capacity was added in the last year itself. The Indian government has been touting solar power as a major source of power generation which resulted in India taking the second position, after China, in terms of new solar energy addition in 2017, leaving behind developed nations like US, Japan and Europe. The costs of electricity from solar and wind energy are further expected to decline by 25%-60% between 2015 and 2025. Solar and wind prices are already very cheap, with India registering tariffs of INR 2.43/kWh and INR 2.44/kWh for wind and solar power projects respectively. About two-thirds of new investment in power plants by 2040 will come from renewable sources of energy, according to IEA. The utility companies are, therefore, in a state of distress worldwide. These companies who own a large number of coal and gas power plants in their portfolios are planning to shift their focus towards renewable energy assets to stay relevant in future. Moreover, there is huge government pressure to fight against climate change globally which is forcing countries to go green. Also, read Leading US Companies Go Green and Pave the Way for Others to Follow. The renewable energy plants combined with storage options are further poised to disrupt the existing energy value chain. Utility companies are sitting up and taking notice of all these fundamental changes in the energy industry and are taking steps to incorporate green energy generation assets in their respective asset bases. More and more utility companies worldwide are steadily raising their stakes in renewable energy investments. 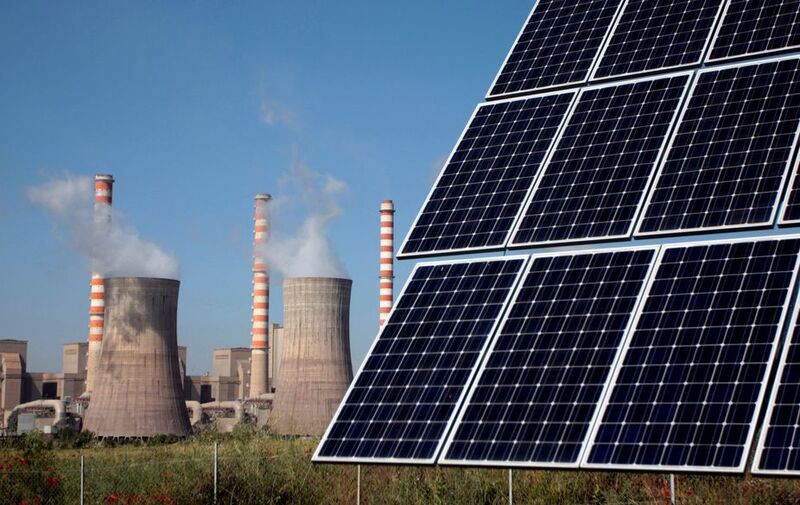 Recently, National Thermal Power Corp (NTPC) which is India’s biggest power utility, has invited bids for 2 GW of solar and wind energy capacity, which will replace coal power supply. The move is expected to result in savings for the company as thermal power generation is costly. NTPC will share half of these savings with distribution utilities. The tender is expected to gain momentum, given NTPC’s reputation in power industry and a sound financial footing. NTPC’s assets are majorly comprised of coal power plants. But the power company is playing an instrumental role in helping India get closer to achieving its 175 GW of renewable energy target. It has been steadily increasing solar energy and reducing thermal power generation in its overall energy generation mix. However, the pace of change is slow.